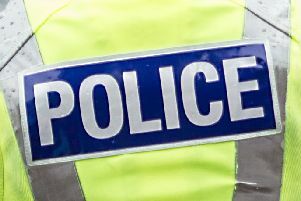 A teenage girl was indecently assaulted while she was walking home alone at night in Newarthill. The 15-year-old was on Glenmore Road at Eribol Walk at around 8.45pm on Sunday when she was approached by a man. He had been heading towards Newarthill Road, Carfin, when he put his arm around her and indecently assaulted her. She managed to escape uninjured but was left “very shaken up” by the attack. Detective Sergeant Jim Williamson, Wishaw Police Office, said: “This incident has left a 15-year-old girl very shaken up and extensive enquiries are ongoing to trace the man responsible for this assault. The suspect is described as white, 6’ tall, of slim build, clean shaven with dark hair and a long fringe that was swept to the side. He was wearing a black jacket or top with white stripes on the sleeves, blue jeans and black trainers. Anyone with information to contact them via 101 quoting incident number 3918 of Monday, March 12 or anonymously through Crimestoppers on 0800 555 111.